We designed and developed a miniaturised workcell devoted to the robotized micro manipulation and assembly of extremely small components, jointly carried out by the University of Brescia, University of Bergamo, University of Ancona and the Institute of Industrial Technologies and Automation of the Italian National Research Council in the framework of the project PRIN2009 MM&A, funded by MIUR. 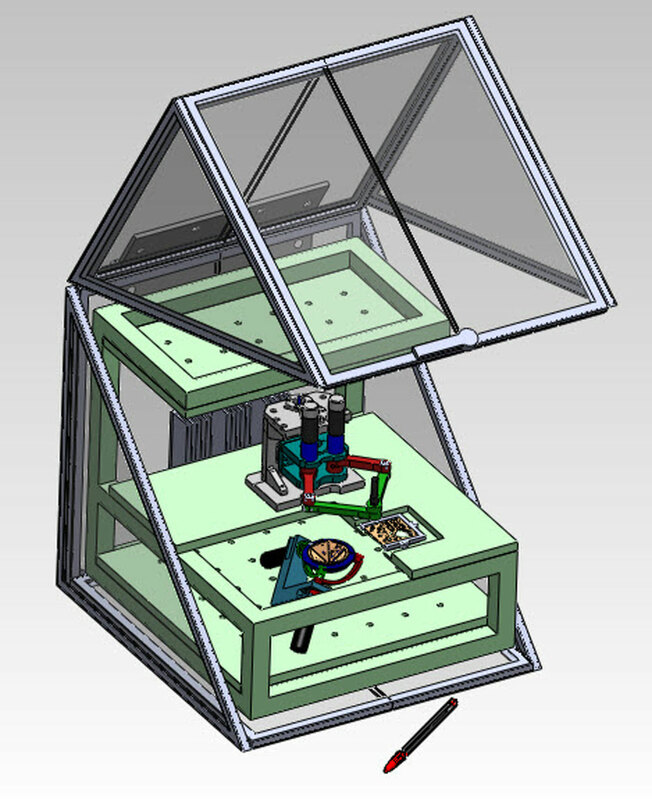 Besides analyzing theoretical and practical aspects related to the design of the work cell components (positioning and orienting devices, grippers, vision and control systems), an automated test bed for the assembly of micro pieces whose typical dimension belongs to the submillimeter scale range has been implemented. G. Legnani, A. Borboni, A. Gabrielli, I. Fassi, S. Ruggeri, G. Fontana, et al., “Design of a miniaturized work-cell for micro-manipulation,” 2013.